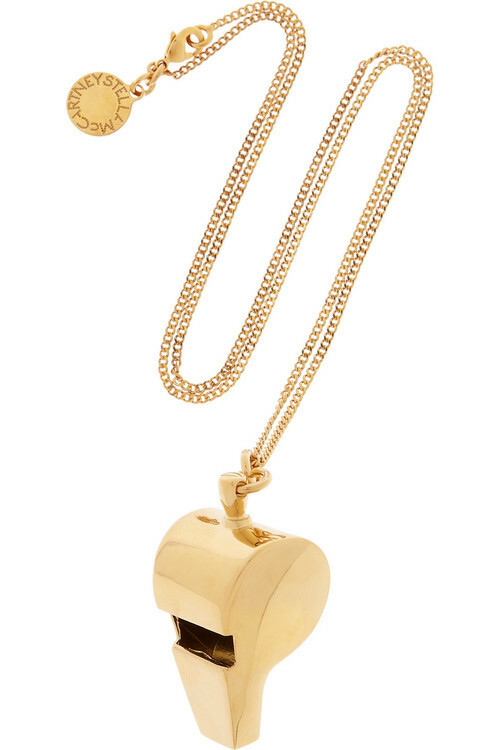 We may not have taken Gold in our Olympic attempts but, with the help of the ever-so-talented Stella McCartney, there is no reason you can’t be sporting gold this season with this uber cute Gold-tone whistle necklace. Chic yet quirky, matching this necklace with any outfit is guaranteed to inject some character into your day! This entry was tagged blog, coup, fashion, jewelry, london, mccartney, pendant, stella, the, whistle. Bookmark the permalink.